It has been a long and weary road to Destiny 2. The first installment of the new franchise had its highs, but more notably it had its lows. Upon its launch it was clear that Destiny would be defined, in those first days, by its bare bones story and relentless repetition. It seemed to punish players for doing what it asked, dragging them through long strikes, missions, or events and rewarding those efforts, more often than not, with meager loot. What has happened over the last three years has been nothing short of remarkable. But it took three years. Destiny felt like a constant work in progress. Content was added, systems were restructured, loot caves were destroyed, all working towards, what many assume, was the initial plan for the game. A lot happened to Destiny before its release that many people don't know. They lost their writer and he took most of his original content with him. Watch the story trailer for the original Destiny. There are scenes from that trailer that are nowhere to be found in the game. They lost their composer, perhaps not a loss that directly impacted game design, but the loss of two of Bungie's seven columns surely had an impact on the studio in ways we can't quite quantify. By the time The Taken King came out, phase three of four in Destiny's content release schedule, the Destiny that we wanted started to take shape. A game with persistence, with involving story, and with a system of loot that seemed to be based less in pure randomness and more in logical reward. It was in those moments of joy, those moments of satisfaction with what Destiny was becoming, that we started to hear rumblings of Destiny 2. The idea of another Destiny, unmarred by the issues of its predecessor, intrigued me. Twenty hours into Destiny 2, I can say with confidence, that Bungie learned from many of their more egregious mistakes. The story is dense, the loot is plentiful, the size of patrol zones is impressive, and the amount of content available at launch is nothing short of daunting. Destiny 2 feels like the game its predecessor wanted to be. 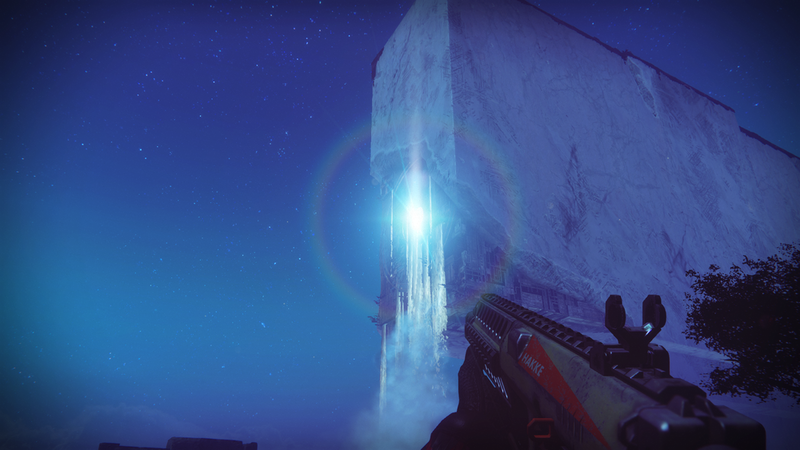 Bungie is a veteran of science fiction, having created the monolithic Halo franchise, but in Destiny 2 they seem to have found a new stride. The sci-fi is there in abundance, don't fret. But what makes this title so much better isn't its reliance on genre. Destiny 2's improvement lies in its dedication to character, both player controlled and NPC. There is a startlingly large amount of emotion in the guts of this game. Emotions that were completely absent from the first title (if you could say emotion really existed in the first title). 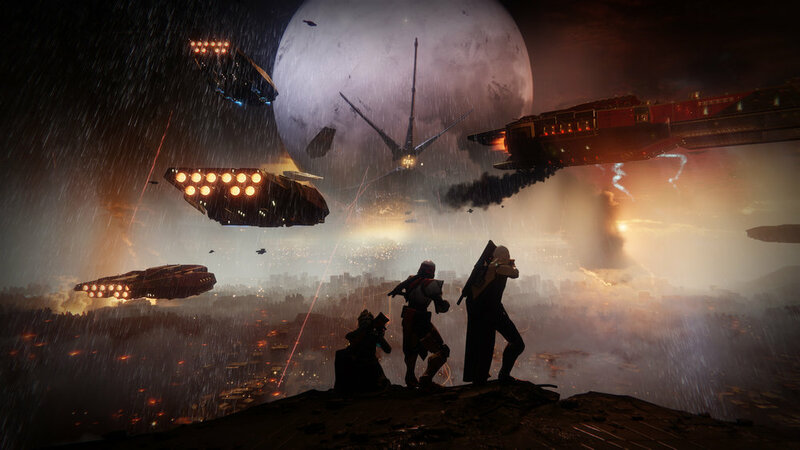 Opening, for veterans, with heartfelt vignettes of player accomplishments throughout the first title, Destiny 2 makes it clear from the start that Bungie values its players and intends to make good on its player's expectations. With this being just the first week of its release, it is impossible to quantify all of the improvements. The Raid doesn't launch until next week, and there is a full release schedule for first month content that is readily available. Suffice it to say that, so far, Destiny 2 is out of the gate as one of the best live service games on console. While it may fall short of far more established MMOs, console live service titles have a lot to learn from what Destiny 2 has to offer. Now a full week in to Destiny 2, our ability to fully review is increasing with every Engram drop, Public Event, and Strike. Since our initial post we have done a lot. My Guardian sits at a cozy 279 Power (Light for the uninformed), I have run the Nightfall several times, spent hours in the Crucible and Strike playlists, and dabbled in the immensely huge Raid. All that I said about Destiny in the first part of this review holds up. For the most part. The story is such an improvement on the first title that it really is nearly incomparable. There is nuance and emotion in the script, giving hollow characters a far more in depth role in what it means to be a Guardian in this universe. The Vanguard: Zavala, Ikora, and Cayde-6 grow into heroes in Destiny 2, each struggling with their own personal flavor of hubris. For Zavala it is his overconfidence in his own strength. For Ikora, her mistaken belief that she had learned all she needed to learn as a Warlock. For Cayde-6, well, he had to put action where only his smart mouth had been. As the End Game kicks off, after completing the story, players are inundated with rewards and side quests to do. Every patrol zone is chock full of chests to find, Lost Sectors to loot, Public Events to tag team, and Adventures to dive into. Yet still, even with that said, something about this game feels a bit less than a sequel. Perhaps there is too much familiarity. The natural flow from game to End Game could be chalked up to three years of experience sure. I put my fair share of time into the first Destiny. But instead of a feeling of veteran status, the familiarity makes Destiny 2 feel less like a sequel, and more like what Destiny had intended to be. Now, I don't say this to make light the improvements that have been implemented, they are far reaching and more numerous than even I had expected. What I do mean to say is this: Destiny 2 feels complete, and because of that, is afforded the opportunity to add depth with its coming DLC and Events, where its older brother was forced to present content in an attempt to make up for deficiencies. Destiny 2 lays a solid bass line into an already robust groove and (forgive the Jazz metaphor) any Jazz musician knows that a solid bass line and groove opens the door for the kind of improvisation that makes Jazz what it is. Returning players will recognize this groove and will find their feet, their heartbeat, already tapping in syncopated rhythm. Newcomers will encounter a game firing on all cylinders, ready to make waves with its solos (no more Jazz, I promise...). I haven't completed the Raid yet, but given what I have experienced of what Destiny 2 has to offer, I am confident that our review of the base game is complete. I will review the Raid when my Clan (The Council of Ricks) completes it. It will, no doubt, deserve its own separate review. Destiny 2 has surpassed many, if not most, of my expectations. It is a robust, busy world that rewards its players for their efforts. Returning players will be immediately familiar with its systems, systems that have been fine tuned over the last three years into a sturdy foundation to build on. Newcomers will find a ton of character in fabric of each world and character. Forgiving the first title for its shortcomings and weighing Destiny 2 as a game that launched whole, complete, I give it a solid 8 out of 10.